"Four Stars ... Schwartz never strays far from the verities of hard bop blues and roots ... for everybody here, the tune’s the thing. Which is another good lesson from hard bop." "... perhaps his most robust album to date ... Schwartz and his band are in full stride on this persuasive release, teeming with multicoloured mosaics, vigourous soloing spots and strong compositions, radiating in a modern jazz delight that offers residual enjoyment on successive listens." 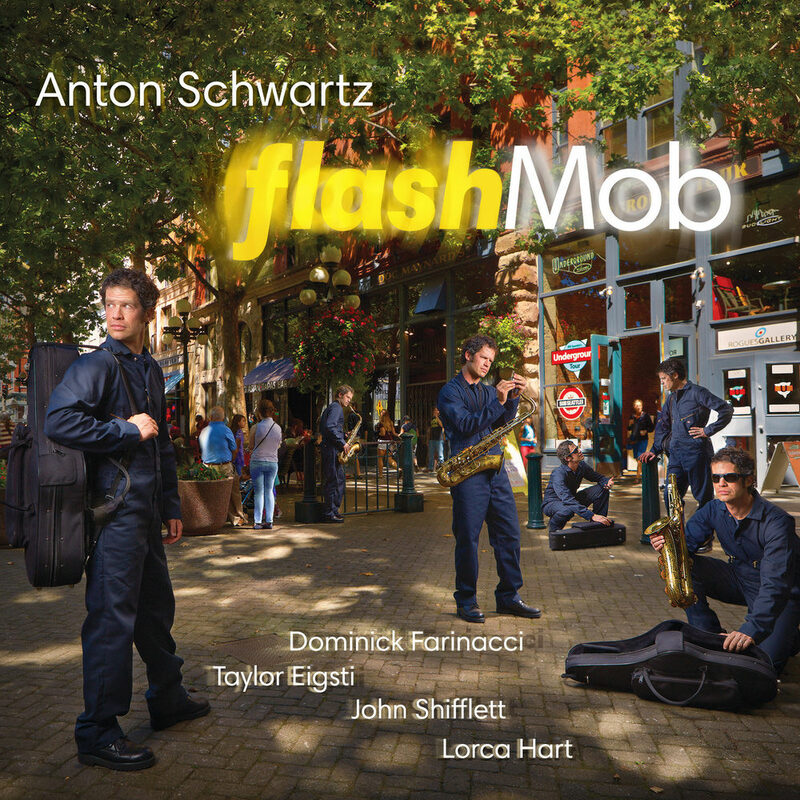 Flash Mob from American sax player Anton Schwartz was one of the most successful jazz albums of 2014, having enjoyed enjoyed a long run on the top 10 of the US jazz radio chart and earning glowing reviews in prestigious publications. Schwartz, who wrote almost the entire album (except for one Thelonious Monk and one Kenny Dorham cover), is joined by Dominick Farinacci, Taylor Eigsti, John Shifflett and Lorca Hart.